By Jimmy Bynum, CEO of Alexander & Preston. Most businesses today use analytics to look back and measure the impact and effectiveness of a product or service. Few, however, use analytics to project and set future direction. Using predictive analytics to drive business decisions can reap enormous benefits. When a customer purchases any kind of equipment, such as a bulldozer, automobile, or refrigerator, that customer expects long-term quality and reliability because of the high cost and brand name associated with that product. Rigorous analytics can help lower risk, reduce cost, build customer and brand loyalty, and drive profit margins. This is especially true in the insurance and warranty industry where, too often, data is not driving business decisions. While a company may use a platform to aggregate data regarding warranty claims, this kind of reactive data collection is insufficient to meeting customer demand, and can negatively impact a company's bottom line. Moreover, it can be difficult to understand warranty costs when data is jumbled from multiple sources. Companies must proactively manage warranty with well-structured, predictive analytics. 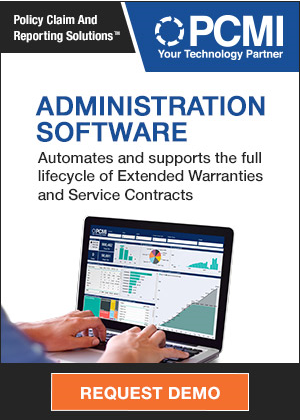 Warranty data, along with field data and other information related to sales, can be used to create an intelligent extended protection plan because these analytics will give you a better understanding of the true costs by identifying the types of failures, which customers are most impacted, and what the root cause of an issue driving claims may be. This comprehensive data will also help to determine the right level of coverage to meet the customer's use patterns and support their business strategies and risk profile. Data is the starting point, analytics is what drives the business. In my previous articles, I outlined the benefits of extended protection plans as well as different risk management options to manage the liabilities associated with extended warranties, including self-insuring, insuring with a third-party company, or establishing a captive insurance company. To ensure these plans are optimized for maximum effectiveness, you must employ strong analytics. Analytics are no longer written off as back office functions understood by only a select few. Data is central to driving business decisions across industries on a daily basis. Technological advancements have enabled the depth of data we collect today. We can put microchips on everything from cars to industrial machines that run analytics, and generate valuable insights in real time. Technology has also allowed us to create user-friendly software to better understand and sift through data. And companies such as the SAS Institute have made analytics more approachable than ever, enabling a broader set of individuals to interact with and understand complex Internet of Things (IoT) data. There are two main ways to consider the long-term performance of a particular product in the field: data regarding the reliability of individual component parts, which are often based on test data from the supplier; and data that are gathered from the field while the product is in service. Historically, it was much more difficult, and often cost prohibitive, to gather data on how a particular product performed in the field. However, IoT offers a more intimate connection with products and the data they create, which can be used to better design long-term service contracts and extended protection programs to ensure they meet -- or even surpass -- projections. "As technology has advanced so, too, has the way data can be harnessed," noted Becker. It is easy and affordable to access data via satellite, Wi-Fi, LTE mobile, or cloud-based services. It is now feasible to run advanced analytics at the edge. These combined advancements allow us to interact with a richer set of granular data and build analytical models that more rigorously interrogate these data in real-time. Ultimately, Becker said, these data allow us to "design service contracts based on a more accurate understanding of the product's performance over its useful life, which are inherently less risky." "The best way to write the most intelligent and risk-free service contract is to begin working with an ecosystem of partners that embrace the internet of things," added Becker. This ecosystem brings together experts in hardware, interfaces, connectivity, and analytics. In practice, this team would build a true edge-to-enterprise architecture, bridging the Information Technology/Operational Technology (IT/OT) gap. Sensors on equipment are connected to back office operational systems and human resources facilitating immediate action. Digital twins can be constructed to test various scenarios that offer a better understanding of how the equipment will perform over its lifetime. Bringing this together allows us to structure a next generation service contract that is more intelligent and risk-free than ever before. "Using an ecosystem of partners to harness and assess the richest data set possible may not sound revolutionary," said Becker. "However, with the advancements in technology making an edge-to-enterprise architecture a reality, it is increasingly the way successful companies must operate. With almost ubiquitous connectivity, companies will get a level of understanding about a product and its performance that we have never had before." 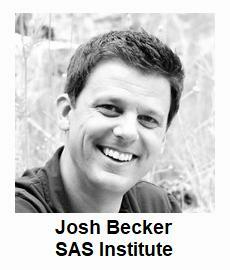 SAS has pioneered the concept of operationalizing analytics for decades. Today, the company is focused on the artificial intelligence of things (AIoT), allowing their products to become truly autonomous and self-optimized. They have made analytics approachable to a broader set of personas within an enterprise, ensuring companies can bring together expertise from all domains and operationalize analytics in real time and from anywhere. This creates a more intimate and accurate understanding of how products are performing their intended function over their useful life, allowing organizations to construct next generation service contracts that are consistently profitable while ensuring a positive customer experience at the same time. A challenge that arises with collecting data is gaining a complete and accurate understanding of the story it tells. In the heavy equipment industry, for example, you receive a wide-range of data from the original equipment manufacturer (OEM) to the dealership and enterprise level to within the customer's organization. You can also have data within systems, such as one data set for rental equipment and another for used and repaired equipment. This wealth of data can be difficult to sift through, and it will require a significant amount of time to understand and build a complete picture of a single piece of equipment. Thankfully, there are new tools and services that companies can use to manage and organize data from disparate sources. Fast Iron Inc. is one such company that offers solutions by using advanced algorithms and machine learning to automate data cleansing, minimizing client involvement and accelerating return on investment. The company's data quality solution, EquipHX, is also completely scalable, allowing an organization to leverage clean data across multiple business units and applications. Craig Klooster, president of Fast Iron, recently compared their EquipHX platform to Carfax Inc. Their program "will pull everything from credit card information, enterprise legacy, dealer database, UCC, and auction results," according to Klooster. The data is so granular that it will show not only that $1,000 was spent at a dealership, but that the money was spent on purchasing a water pump, oil service, and oil sampling. "This level of detail gives you a complete picture of your equipment fleet as a dealer, but also allows you to see the history of the machine you may rent or purchase as a customer -- which is especially important in an industry where new equipment can cost more than $1 million," he said. 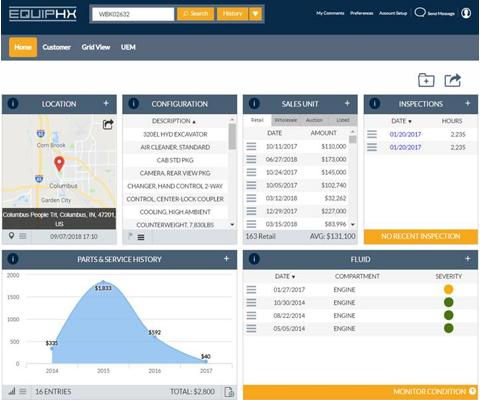 As can be seen in Figure 1, Fast Iron's EquipHX platform can show a dealer everything about a single machine from the day it was delivered and every time it was serviced for maintenance and failure repairs. EquipHX pulls data from multiple sources and puts it in front of the dealer or machine owner to help them make decisions, such as keep, sell, repair, or replace. A dealer can also share this information with a customer. As Klooster said, "EquipHX positions the dealer as a solutions provider, offering ways to optimize and better manager a customer's entire fleet." He mentioned that after analyzing data showing consistent repairs to a wheel loader, a dealer was able to suggest to a customer a gradient change to the road on the construction site. This proactive mindset opens up a whole new profit opportunity for dealers. Klooster said a growing area of their platform is information from telematics, "connected equipment" that is much broader than a simple GPS location. The proliferation of different providers in an application programming interface means it can be difficult to understand the repair costs based on how a single machine may be used. "The value in analytics is ultimately about consumption and how the data will be used," noted Klooster. "We provide a tool that makes it easier to make business decisions. This is not about changing your business. We take what you do today and automate it so you can spend more time engaging with customers in an increasingly competitive marketplace." Leveraging data with tools like EquipHX automates an otherwise timely process and allows dealers to focus on core competencies. Gaining a full picture of a single machine with data from multiple sources also allows dealers to optimize their solutions offerings, including smarter extended protection plans. While EquipHX was developed to support heavy equipment, the tool has much broader applicability and can extend to any equipment or fleet management. After all, gaining a clear, comprehensive understanding of your data is universally valuable. Whether you take a holistic approach to analytics by tapping a vibrant ecosystem of experts or you simply use an aggregator platform, it is clear the opportunity cost of using sophisticated analytics to drive business decisions. For example, if you knew that the machines you sold failed in the second year of ownership, you could stock parts required to repair the machine and also work with the engineer to resolve the issue. I challenge those who work in the warranty space to think about data in a more sophisticated way. If not, you could be leaving money on the table. Jimmy Bynum founded Alexander & Preston in 2014 following a career specializing in extended protection plans and warranty. The company partners with OEMs and distributors of commercial and industrial products to optimize their risk management solutions. A&P services are available to commercial and industrial manufacturers of heavy equipment, agricultural equipment, medical devices, aerospace, and information technology equipment. Prior to forming Alexander & Preston, Jimmy spent 12 years with Caterpillar Financial Insurance Services, the extended protection plan (EPP) and captive insurance division of Caterpillar, the global leader of industrial equipment, most recently as global marketing manager, where he led efforts to integrate the insurance organization into the finance team. 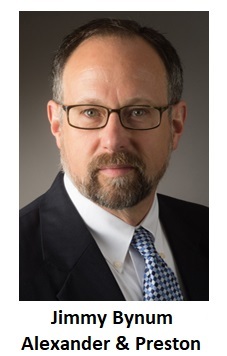 Jimmy is active in the Nashville community and within the industry by serving as President of the Board at Oasis Center, past Board Member at the Texas Captive Insurance Association, and Vice President of the Global Warranty and Service Contract Association from 2011 to 2017. Jimmy can be reached at Jimmy.Bynum@AlexanderPreston.com or +1 (832) 699-7911 extension 101.